Delivering a plethora of high-quality home improvements to Southend-on-Sea homeowners over the years, the SEHBAC team relish visiting this classic seaside town. With gorgeous views of the Thames Estuary to the north, bordered by Rochford and Castle Point and just 40 miles east of central London, Southend is bursting at the seams with fun attractions and activities that all ages can enjoy. With summer just around the corner, we thought we’d explore some of the top things to do here to help you plan ahead. Southend Pier is the ideal place to take in the stunning views of the Thames Estuary. As the world’s longest leisure pier, stretching 2,158 metres (7,080 ft), it impressively celebrates its 130th birthday this year. 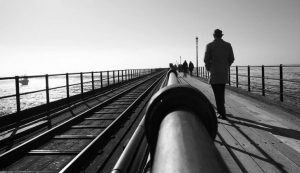 To truly immerse yourself in the history of this legendary Southend landmark, don’t forget to visit the Southend-on-Sea Pier Museum on the Western Esplanade. Also found on the Western Esplanade is Southend’s Adventure Island. From the traditional charm of the helter-skelter to the dizzying heights of exhilarating rollercoasters, this superb seaside theme park has something for everyone. Offering free entry to the park, a day out here is incredibly cost-effective too. 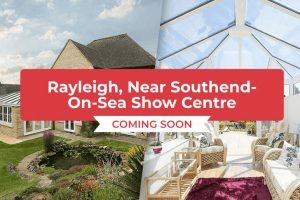 Want to give your Southend home and garden a new lease of life? With literally thousands of fabulous outdoor products on offer, Alton Garden Centre is Essex’s largest garden centre. Just a short 15-20-minute drive away, whilst you’re here, experience the exceptional quality of our home improvement products first hand via our newest show centre; soon to be opened here. If you’re inclined to enjoy a slower pace of life, we highly recommend visiting Leigh-on-Sea. Offering romantic walks, breath-taking sunsets and atmospheric cobbled pavements that encapsulate a diverse mix of shops, cafes, restaurants, pubs, beaches and more – head on down and start exploring! Southend has two exceptionally preserved theatres to take advantage of, the scenically placed Cliffs Pavilion on Station Road and the memorable Palace Theatre on London Road in Westcliff-on-Sea. With a wide range of theatrical and musical performances to choose from, soak up the atmosphere at either of these charming Southend venues and make it a night to remember!